You need to have a "Great Powder" to do "Great Nails"
"You need to have a great nail powder to do great nails that keep your clients coming back. All of my nail powders look and feel very natural. When I started doing nails, all we had was clear or a light white color that was used on the entire nail and covered with color nail polish. I did not like to wear polish when I did nails because it was too messy, so I created Pink and White Powders that looked like a French Manicure but did not get messy when doing nails. 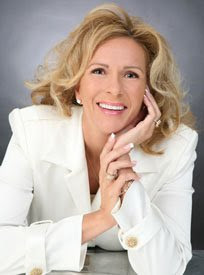 The clients went crazy for my signature Tammy Taylor Pink and White look and the rest is history." Tammy Taylor Powders can be shaped while drying and they have been developed to cure gradually as they set up. This gives you time to shape the famous Tammy Taylor C-Curve into your nails before it gets hard, giving your nails that beautiful natural looking, slender, curved and strong nail that keeps your clients coming back. 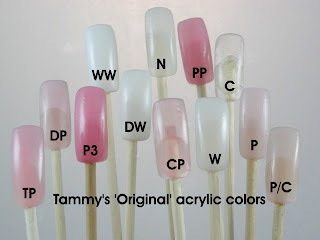 Tammy Taylor Nail Powders are available in 2 different work-abilities for your nail application style. Both the Original and (S-Set) Nail Powder (aka) Summer Nail Powder have all the outstanding colors, features and qualities you have come to know and trust. Flexible (resists cracking and breaking). Created to give you more time to create a perfect smile line on your Pink and White Nails. Flexible (able to create the perfect C-Curve). Can be used with all of the Tammy Taylor Nail Liquids (except the Tammy Taylor Odor-less Nail Liquid). Use all year round, but especially in hot weather. Great for sculptured nails and tips with overlays. Fast-set nail powder, created to makefast, smooth and strong nails. Can be used with all Tammy Taylor Nail Liquids. Note: You can use (S-Set) Nail Powder on the free-edge to give you more time to work and Original Nail Powder on the nail bed, so it stays where you put it. Dries slower and gives more time to create the smile-line. Good for anyone having problems with their white drying too fast on the free-edge. Great for Competitions. All of the Pink powders and the White powders look beautiful together; to make Pink & White nails.